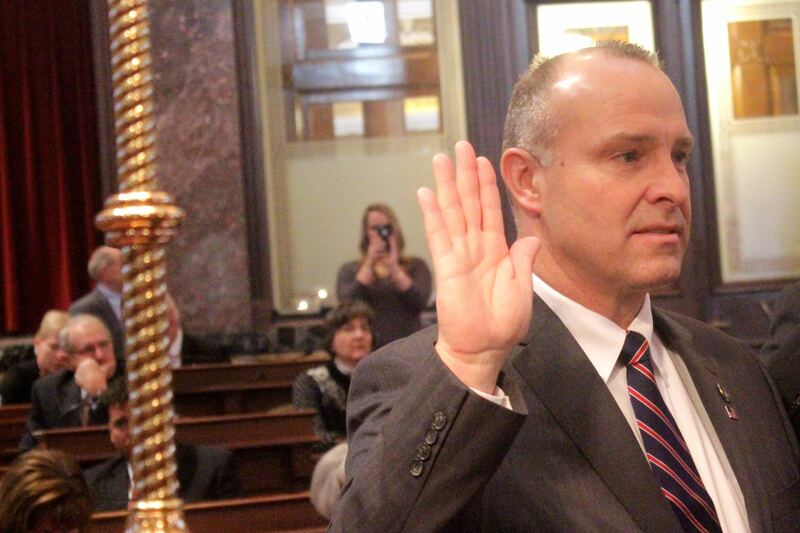 This year I have been appointed to serve on the Transportation, Education and Appropriations committees as well as serving as the Ranking Member of the Education Appropriations committee. As I begin my road here at the Iowa Senate I am always interested in hearing from my constituents. I can be reached at [email protected] or by phone at 515-408-4770. If you are interested in receiving our weekly newsletter, please send me an email and we will add you to our mailing list. I invite you to visit the Capitol, and if you are interested in speaking with me, please let me know when you will be here. I’m very interested in meeting with you or your group. The Capitol provides an exceptional learning opportunity for all of us. A number of bills have been introduced and we are starting the process of reviewing these proposals. Debates have not begun and no votes have been cast. I look for a session revolving around transportation road funding; education will center around funding and continuing to give Iowa students a world class education. In Appropriations, our time will be spent in directing your $7 billion in taxes toward the most effective means of growing Iowa’s economy and way of life. Committee meetings for me this week were brief, providing an opportunity for introductions of committee members. However, I do anticipate very active committee meeting especially in Education and Transportation. 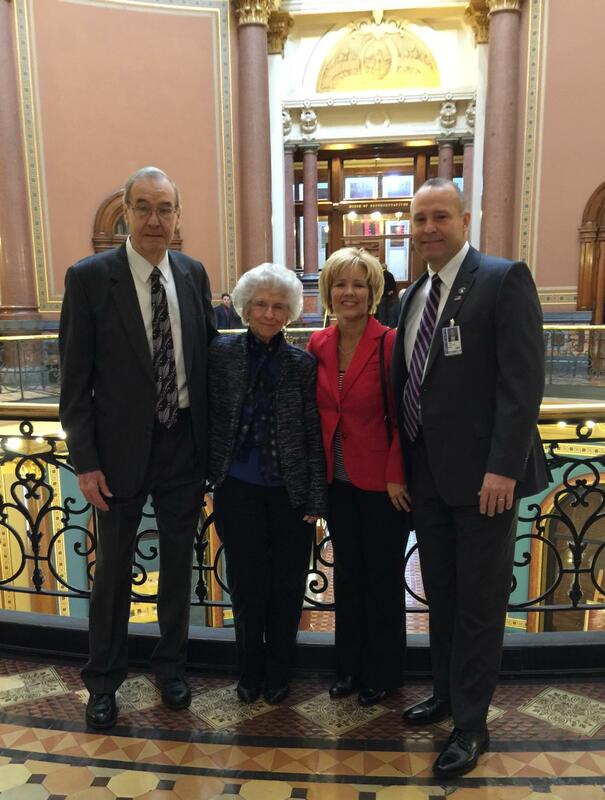 Some very important visitors to the Capitol this week included my family for the Swearing-In Ceremony. I am very blessed to have the love and support of these wonderful people. (Above L to R: Al, Jeanine, Sally, Tim Kraayenbrink). My staff at the Capitol includes Theresa Hildreth of Rockwell City. Theresa is here to help me serve you. As a constituent of mines, she also shares my passion for our Iowa and District 5. Theresa and her husband, Tom, are business owners in Rockwell City and are very active in their community and schools. Theresa and Tom are parents to four children and grandparents to seven loves of their life. Theresa’s background is in business marketing and her organizational skills will help to get me where I need to be, when I need to be there. If I am not available Theresa can help you get in touch with me. 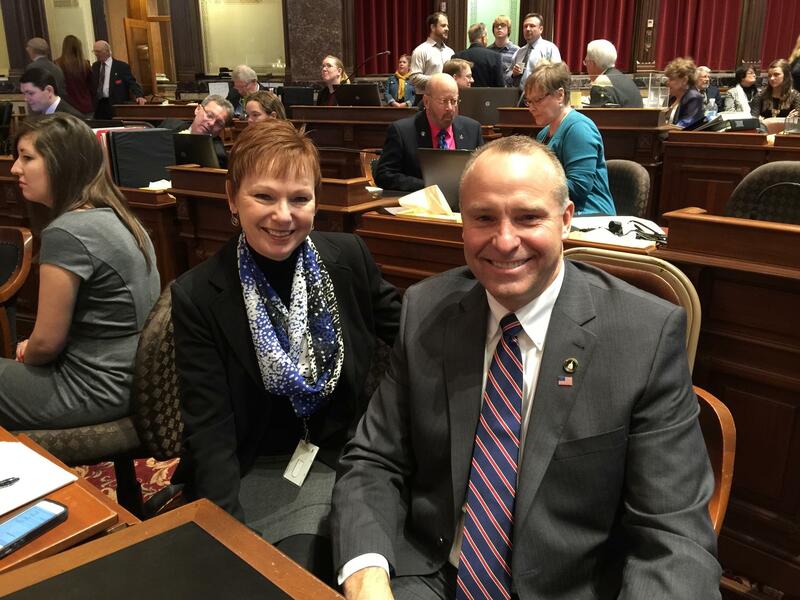 Tune into KVFD on Friday mornings at 7:30 for “Devine Intervention Show” with Mike Devine as he visits with Senator Kraayenbrink on the latest happenings in the Iowa Legislature. Senator Kraayenbrink will also be attending Eggs and Issues at Iowa Central Community from 8:15 a.m. – 10 a.m.
7 Comments on "Kraayenbrink Weekly Newsletter January 16"
Thank you Dean. You will be added to the mailing list! Thank you Jane! You will be added to the email list. Thank you Phil. You will be added to the email list!